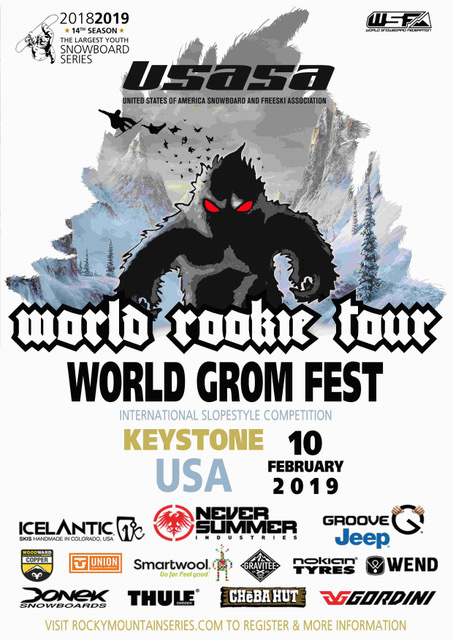 On the 10th of February the future stars of snowboarding will gather in Keystone, USA, for the A51 Grom Fest Snowboard! The competition will take place in the A51 Terrain Park, which features a 60-acre collection of creative and progressive terrain park features spread across six areas. The A51 Terrain Park is famous for its jumps, unique features and has consistently been honored with numerous awards, including #4 Terrain Park by TransWorld Magazine and #2 Newschoolers Park Poll in 2017. The three best grom riders (male and female) will be qualified for the World Rookie Finals that will be held in Kitzsteinhorn – Zell am See-Kaprun, Austria, from the 25th to the 30th of March 2019! A51 Grom Fest: first stop of the 2019 World Rookie Tour Freeski!